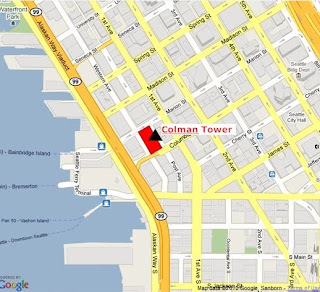 Goodman Real Estate submitted plans to build a 16-story apartment building in Seattle’s downtown core. The Building will be called Colman Tower and consist of 208 residential units and 6 stories of parking and commercial spaces. The building’s concept will be geared toward the “Seattle Yuppie”, a term used to describe the young urban professional. The building will stand where an empty 86 stall parking lot currently sits. This ½ an acre parcel is worth well over $4 Million. The value will only continue to grow once a new building is placed on it. It’s a great investment for Goodman Real Estate, having owned this property for the past 10 years and placing a building where the proposed Alaska Way tunnel may start. Once the Viaduct comes down it is only going to raise property values for those near it. These are some of the first plans seen in the Seattle core since the market crash of 2008. The Seattle apartment market is stable, which is why we are slowly seeing more of these plans around the city. One example is Queen Anne’s newest project, the Avalon Apartments, which is currently under construction. Another company submitted plans to build a mixed-use building for a hotel/condominiums, but has now converted to apartments to obtain financing. It’s a wonderful sign to see business building in our city once more.